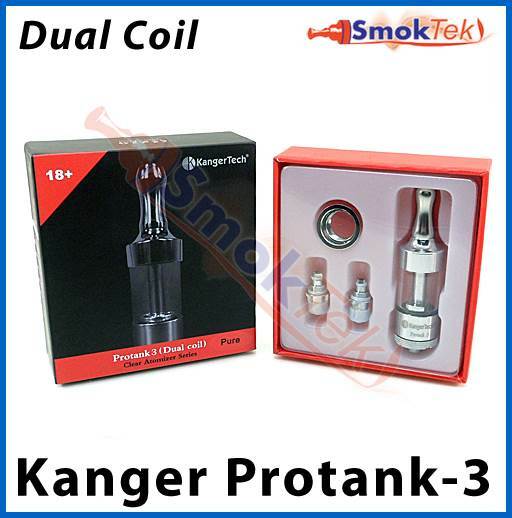 The Kanger ProTank-3 is a glass tank bottom dual coil clearomizer. The pyrex glass tank allows you to use any juice without damaging the tank. Great new design with removable tip, easy to fill and simple to replace the coil. 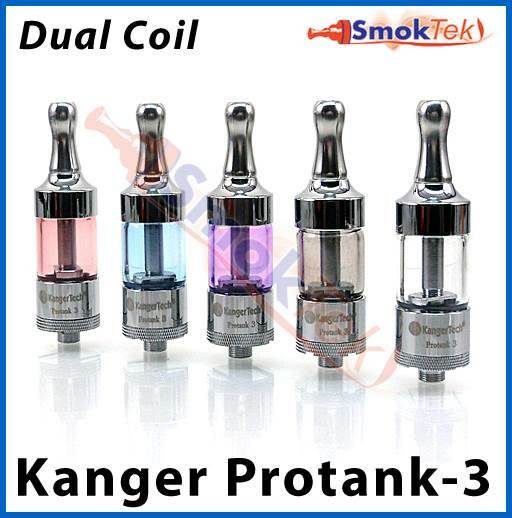 The Kanger ProTank-3 offers great features and improved performance. The Protank-3 is 510 threaded and will work on all 510 threaded devices/Mod's without the need for an adapter. It also comes with a matching eGo Cone cover for use with eGo batteries. 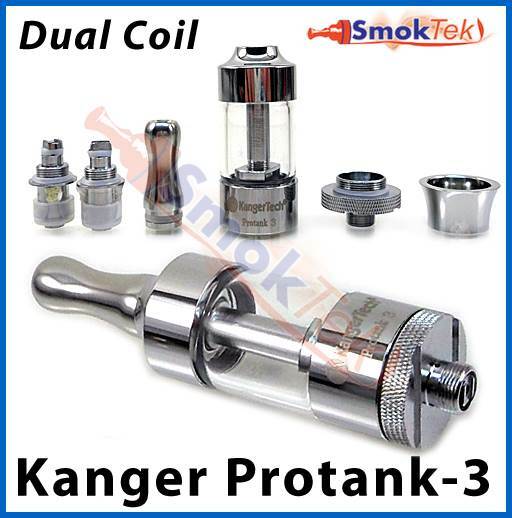 Extend the life of your Kanger ProTank-3, Mini ProTank-3, AeroTank, AeroTank Mini or AeroTank Mega by replacing only the coil! It's easy to do, just unscrew the bottom assembly from the tube, remove the old coil and simply screw a new coil assembly into base. 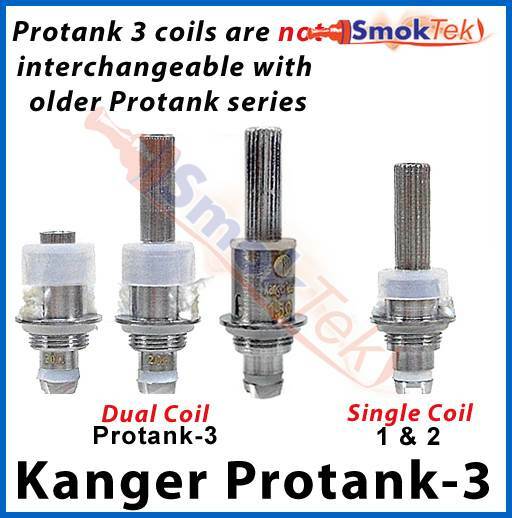 Protank-3 coil heads are NOT interchangeable with anything else, except the AeroTank series. Please be aware! The tank works great. No leaks. It comes apart completely. Makes for easy cleaning and replacing any parts in it. I still get a dry hit once in a while. The bar across the bottom makes it a bit difficult to fill. It's bigger than the tank I'm use to and much better air flow. I just tried it and wow! This was worth the money to me. I will be buying another to replace the smaller basic tanks I have. This is a great tank. I have a Vamo 2 and this tank doesn't fit well on it. I had to make a washer to fill in the gap because it didn't sit flush. Again, these tanks don't work well on a Vamo 2 bc of the gap. Q: Does this product fit with the Eleaf Istick 30W? I'm glad to help here! 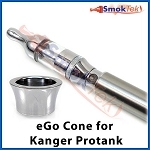 The Kanger ProTank-3 will work great with the Eleaf iStick 30W!